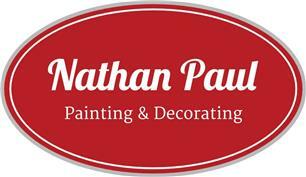 Nathan Paul Painting & Decorating is dedicated to giving you the best possible customer satisfaction and working with my customers is very important to me. My aim is to make my customers happy with my work ethos and my end results. I pride myself on a high standard of work as well as attention to detail and a friendly service. I carry out internal and external painting, wallpapering, furniture painting. Most people want a room or a series of rooms updated with a fresh coat of paint, a full change of colour or total refurbishment. I am happy to do all. I also carry out decoration and maintenance for landlords on rental properties, houses or flats, residential or commercial properties. Prices are normally per project, although I am happy to work on a day rate or even an hourly rate at the request of my customers. Quality products used include Johnstone's Trade, Valspar Trade, Dulux Trade, Dulux, Crown, Farrow and Ball, and Fired Earth. I am happy to use any products that the customer requests as well as giving advice on colours and finishes.